When we were kids, we thoroughly enjoyed playing slingshot and more often than not, we used pebbles for ammunition. We don’t have to rely on pebbles anymore though since a good lot of manufacturers have finally come up with the best slingshot ammo materials and design to further enhance accuracy and performance. If you want to maximize your slingshot’s function, it is important that you pair it with the best slingshot ammo for hunting. In this guide, I am going to share various points on a few products being sold in the market today. Let’s get the ball rolling and find out which among these products make the grade! 3 What is the Best Slingshot Ammo? Great for target practice or just shooting cans in the backyard and they are an affordable way to hone your skills. These should not be used as marbles due to ball imperfections. Marble is the preferred choice of many slingshot buffs for target practice. Maglite’s MAG 500 is an affordable option for enthusiasts who want a good amount of ammo for less the price. The product is also accessible and you can even find these marbles in craft stores and dollar stores. They have a nice, larger size, will not rust unlike their metal counterparts and are non-toxic to boot. So for people who want an eco-friendly option, this is the product for you. You can shoot or propel these bad boys anywhere and it will not have a negative impact on the environment. However you do have to consider the fact that as the brand claims, the marbles might come with imperfections on them like chips and flat spots. Glass is breakable so chipping cannot be avoided in transit. This is the not ammo for folks who like gathering magnetic ammo. Furthermore, they can be slippery and are not good for competitions. But they make for excellent target shooting companions. Hence if you want to improve your slingshot skills, this is the ammo to go for. 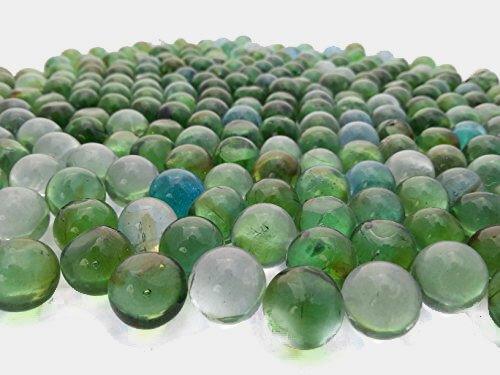 Another advantage of glass marble ammo is the fact that they have these swirly designs which make them wonderful to look at. They look like candies and it makes the product a nice gift for older children who want to improve their slingshot skills! To put this slingshot ammo review to a close, if you like a smooth, eco-friendly and budget-friendly option, this product might work for you. 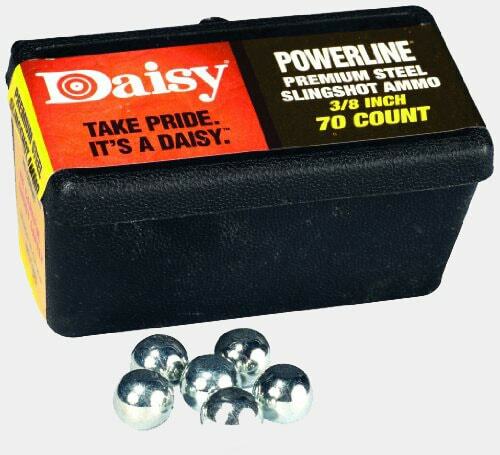 Steel ammo for slingshot like the Daisy Outdoor Steel ammo is the top choice for some. Steel has some advantages which makes them the better alternative to glass ammo. For one, steel ammo comes with medium weight and excellent flight attributes. Its solid, hard built makes for topnotch target penetration. Other than that, it can be reused after firing and is affordable to boot. This product is made from polished, zinc-plated steel, has a diameter of 3/8 inches and a great rounded shape. It has a smaller size too so this means you can carry them around easily without being burdened by the extra weight. Shoot it with enough force and it has the capability to take down small vermin like rabbits, making them a good companion on those hunting trips. The package comes with the ammo plus a convenient box with a belt clip where you can store the stuff. The belt clip is quite handy since you can place it on your belt for fast, easy access to your ammo. However, one disadvantage of steel ammo is that its hard structure leads to major rebounds as soon as it hits solid objects. You must take note of this if you are planning on purchasing ammo for target practice. The product is not sold on some areas in the country as well, so you have to keep that in mind. All in all, this product is the best ammo for slingshot hunting due to its sufficient built. Trumark Slingshot’s Ammo Tracer comes with a really bright white color so you won’t miss it. In case you often get frustrated with dark-colored ammo and you want to keep track of it every time, this option is something you may want to consider. The whiteness of the ammo makes it really noticeable in colored surroundings. They are referred to as tracer ammo since the user’s eyes can effectively trace their flight as the ammo goes to the target. Another advantage of this product is that users can modify the manner in which they fire their slingshot minus going to the target and checking out where they struck it. This guarantees that users will get sufficient practice and save on ammo too. The size of the ammo is pretty adequate for majority of slingshots. It has good heft to it as well—the heaviness and lightness are quite balanced. The ammo comes with a good shape plus a price that can’t be beat. However, keep in mind that this product cannot be sold in some zip codes. In addition, they can be a challenge to contain in its pouch. Still, this is a good product to try and it’s great for both children and adults. It is easy to warm up to, has topnotch quality and is the ammo to use if you want to keep watch over its trajectory during target practice. What is the Best Slingshot Ammo? 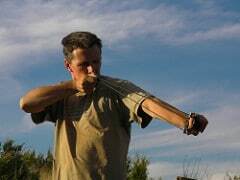 The best slingshot on the market may have it all, however it will not work to its fullest potential unless you pair it with excellent slingshot ammo. So what makes an ammo for the activity a great find? A great slingshot ammo comes with a perfect, consistent shape. The product must have sufficient weight too—it must not be too light or too heavy so it can easily strike the target. 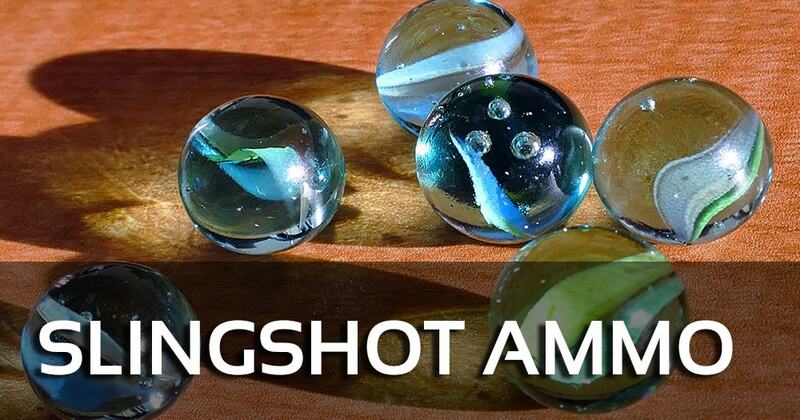 Ammo for slingshot are easy to find. You can buy the ammo online or in brick and mortar stores. There are different types of ammo for slingshots. First, we have the steel kind, which is one of the popular options. Steel has nice flight attributes and medium weight, plus its hardness makes for excellent penetration of the target. Other than that it is a great affordable option too. 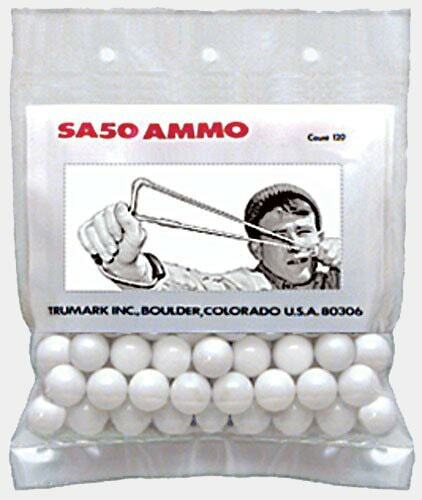 Glass marbles in white coloring makes for excellent ammo for target practice since you can easily keep track of it. You can recover the item as well after practice so you can reuse it. Tungsten carbide is the heaviest among the bunch and the weight aids in flight attributes and energy conveyed upon impact. However this ammo costs more compared to the others. Copper meanwhile is softer and heavier compared to steel ammo plus it has great flight attributes too. In addition, it is non-toxic material and rebounds minimally unlike steel. Tungsten ammo though is more expensive compared to the steel kind. Consider the weight of the product first before purchasing. Great ammo has good balance between the light and heavy. This is so it can produce the right velocity to strike the target depending on the expectations of the user. As mentioned previously, the weight and size of the balls can have major impact on the precision of shots. The balls should also be sizable enough that you can fit them in your fingers and contain them in its bag. If you want to reuse ammo which did not hit target, it would be wise if you look for products that have a white or bright color. Bright or pale colors are very noticeable and you can trace the ball’s flight directed to the target. Great ammo for slingshots often come with a flawless, consistent round form. Round spheres allow users to fire a flawless flight in excellent velocities and a straight path towards the target. Materials also matter so guarantee that the product is made from steel or glass since these materials are often believed to be the best in the field. Plus they are affordable as well. You can also consider other materials like marble and copper if you are after solid, efficient performance. To conclude this series of short reviews, it is time to choose which among the 3 is the best slingshot ammo. I choose the Trumark Slingshots Ammo Tracer as the better option. And for some crucial reasons, one being it has great flight characteristics, has sufficient weight and a polished, flawlessly round shape and you can easily keep watch on its trajectory—it’s not called tracer ammo for nothing. Lastly you can reuse balls that did not hit the target, so you can save up on ammo too.